Plastic martini glasses, margarita glasses, champagne flutes, and specialty stemware like hurricanes or dessert dishes are more plentiful than ever nowadays. Once limited to summertime sales, plastic stemware of all styles can be found year-round. Here are my favorites from several tried-and-true plastic stemware manufacturers. 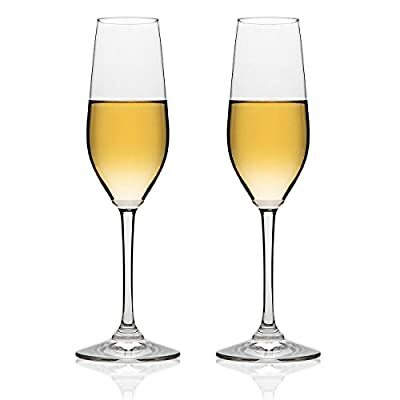 Stemless Plastic Champagne Flute, Unbreakable, Bpa-free, 6 Oz.